Punarjeevana which translates as rebirth is the rebirth of a lost weave, which is now back in demand, courtesy revivalist Hemalatha Jain. Hemalatha Jain first laid eyes on the Patteda Anchu sari when she visited the Yellamma Saundatti temple in Karnataka. “A priest introduced me to a devadasi who owned the remnants of the sari,” she says. Jain, a textile revivalist and educator, has not just based her PhD thesis on this weave, she has managed to bring it back from the dead. By contemporising what was once a red, chequered cotton sari with a deep yellow border, she is seeking to generate interest and sustain production of this ancient weave. 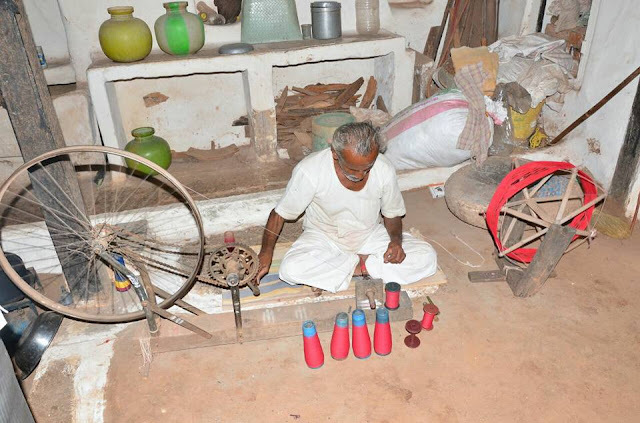 While records of the patteda anchu go as far back as the 10th century, Jain (36) came to learn of its existence from weavers in North Karnataka, while working with them. 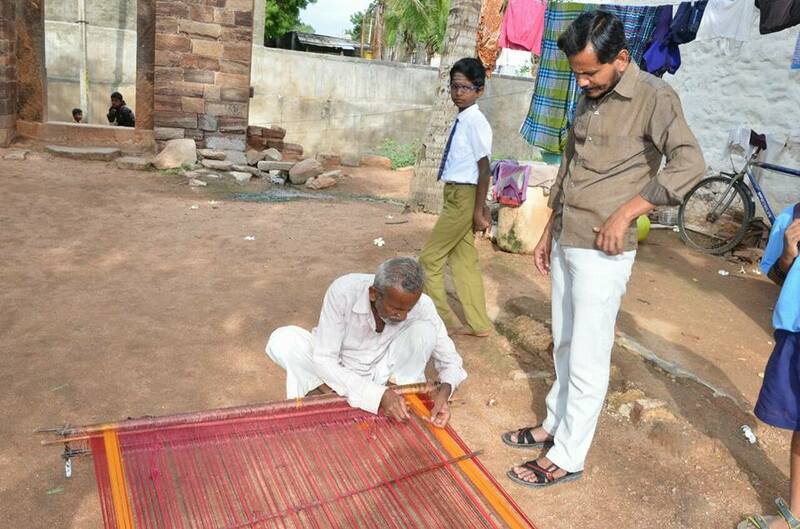 “I kept hearing about handlooms that were woven earlier, but are not manufactured anymore. This was one of them,” says the Pune-based revivalist, who is pursuing her PhD with NIFT. So she began researching it, a challenging task as there were few available records, no samples, and no weavers who still knew how to make it. 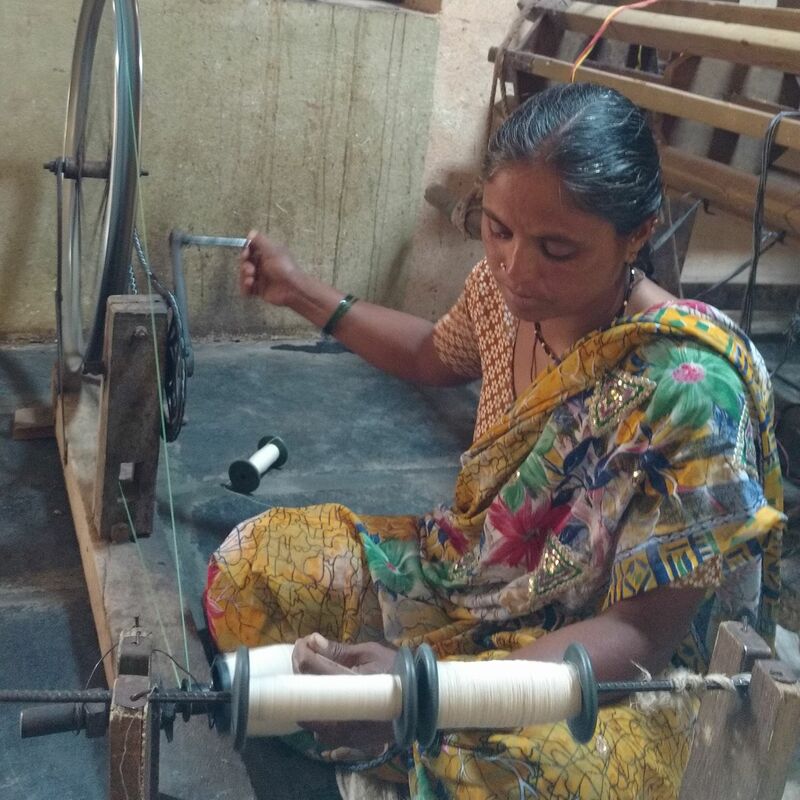 As she delved into the history of the weave, she discovered it was woven centuries ago in and around the villages of Gajendragarh, Belgaum, Raichur, Kodal, Bedar, Bellary, Gulbarga and Dharwad. “It was considered an auspicious garment, offered to the temple goddess when the daughter of a household got married,” continues Jain, who interviewed nearly 700 people from 10 villages to unravel the details. Armed with the ragged bits of the sari she’d procured from the devadasi, Jain began scouting for weavers who had the technical knowledge to develop prototypes. She then took the samples to former Samata Party president and founder of the Dastkari Haat Samiti, Jaya Jaitly. “She was so glad to see the patteda anchu that she placed an order for 100 saris,” says Jain. Jaitly, who herself owns a patteda anchu, remembers seeing it in the markets in the mid-80s. “During my political work, I’d encounter a lot of traditional local handloom and I’ve seen these saris in North Karnataka over 30 years ago,” she says. The Dastakari Haat Samiti gave Jain an advance of ₹50,000 to start the project, and the 100 saris produced were then marketed and sold at a pop-up organised by Bengaluru-based Registry of Sarees, a community that promotes indigenous weaves. Co-founder Kausalya Satyakumar says the response was excellent. “We are still selling, both in India and abroad,” she says. While the basic pattern of the sari has been retained — it is a simple, coarse cotton weave with a broad border — its colour has gone beyond the original red and mustard. Jain has extended the palette to eight shades. “And since it has pallus on both sides, it can be draped both ways,” adds Jain. Today, 10 looms are running with the patteda anchu, says Jain, who hopes that this will lead to the formation of a self-sufficient and cohesive cluster. “The joy of seeing ancient craft back in trend and people making their livelihoods keep me motivated,” she concludes. Patteda Anchu is a traditional handloom weave from Karnataka made of pure cotton. The pallu comes in 2 shades in each saree. For the non-handloom enthusiast, PA saree will come across as something dull and boring. But it really is isn't the case. It is such a wonderful weave, coarse and lovely. The length of the sari is unbelievable. But the width, I must say, fell small for my height. Nevertheless, it is simple yet elegant. No words to appreciate Hema's work who brought this treasure to all of us. It's so good texture, the double side and double shade borders are thick and we don't need to sitch a falls which will make us wear it in any reverse manner in an easy way. I was left wondering why did this technique go extinct? Many thanks to Hemlata for investing time and effort in reviving this exquisite and functional drape. The saree is so airy, it is perfect for humid Indian summers. I kept me warm in harsh winter also. Once pleated, the pleats stay crisp for hours. and unlike other cotton sarees, this saree can easily be worn 3-4 times before needing to be ironed. To own a revived weave is to love the history it holds, the craft it embodies and the effort and the journey it has taken to today. In Hemalatha's words, "Patteda Anchu is a craft or saree for everyone but for me, it's a journey of self-discovery. It made me realise the world is so small and beautiful, full of wonderful experience which teaches different lessons every time. Makes life full of stories with spices which I will cherish always. Patteda Anchu project has given good livelihood for 30 artisans and decent living. Artisans have left odd jobs and are practising the craft. Can I get the sarees for reselling from you? I am a reseller based at mumbai..